The morning of August 9th dawned with crystal clear blue skies with a light breeze in Little Compton. 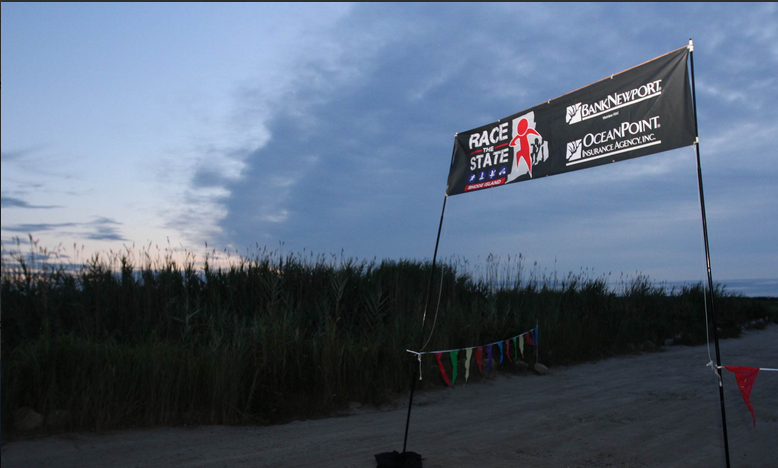 As the competitors approached the start line, which just a few hundred yards from the Massachusetts border, there was a slight chill in the air. The gun went off shortly after 6am and field of 40 were on their first 5-mile leg en route to Little Compton harbor. 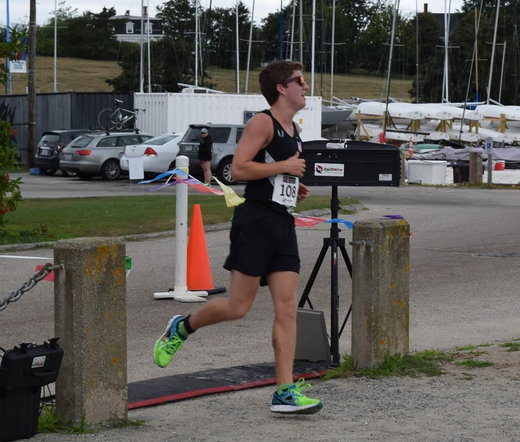 The first to arrive at the harbor was Adrian Masse of Newport, Rhode Island who ran the 5 miles in 33 minutes and 48 seconds. Just one minute and 23 seconds behind him was Dave FitzGerald of Middletown and 15 seconds behind him was Antoine Lavigueur of Newport. As competitors entered into the harbor the wind unfortunately started to pick up which would make the paddle extremely challenging. In a weird twist, the few who had selected to use a prone paddle board were in a much more advantageous position than the majority who had the more traditional stand up boards. As the wind conditions deteriorated far more rapidly than forecast, the safety boats on the water had their work cut out for them. 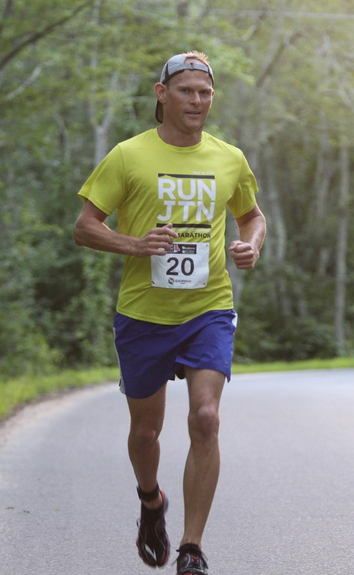 Of the field of 40, only 17 made it the full 3 mile course across the Sakonnet River. 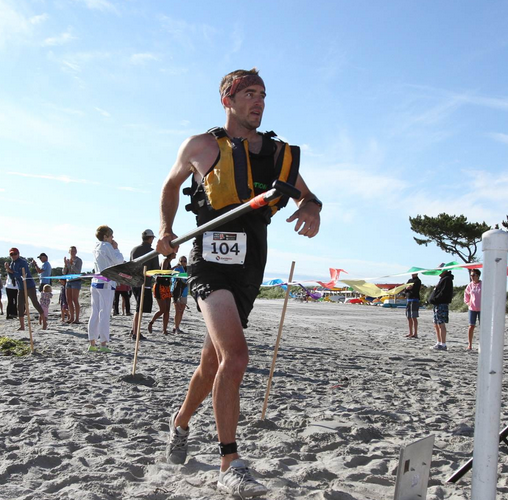 The first paddler to finish the course was Dave FitzGerald who raced the 3 miles on his prone board in 49 minutes and 46 seconds. This put him in first place. However, the first stand up paddler to finish Connor Wallace of the 4-person team Kettlebottom. He paddled in 1 hour 4 minutes and 55 seconds. Third Beach in Middletown was the first hand-off for relay teams and for the individuals they kept on moving through for the 3rd 7.5 mile leg taking them along the beaches to Fort Adams in Newport. 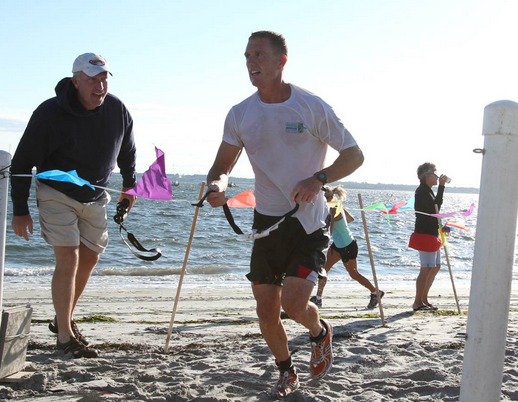 The 4-person team of Rhode Racers owned leg 3, completing the 7.5 mile course in 52 minutes and 26 seconds. 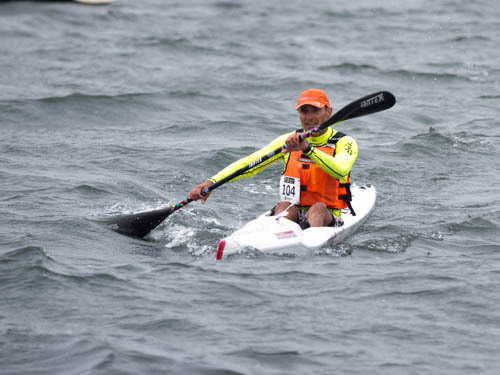 In the Mens division it was a battle for first between Dave FitzGerald and Adrian Masse who were separated by a mere 2 minutes and 11 seconds, with Masse holding the slight edge heading into the kayak leg. In the women’s division, it was only the run legs determining the leader as none of the women completed the second leg. 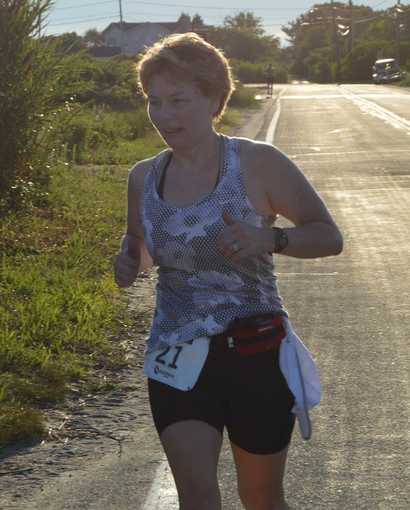 Kelly Murphy of Douglas, MA was holding a 2 minute 21 second lead over Dawnie Amado-Desmarais of Litchfield, NH. In the team divisions, 1 if by land, 2 if by see held a slight edge in the 2-person division, 33 Donahue had a sizable lead in the 3-person division and it was anyone’s game in the 4-person division between Kettlebottom, MidTown Oyster Bar and Portsmouth Dads. 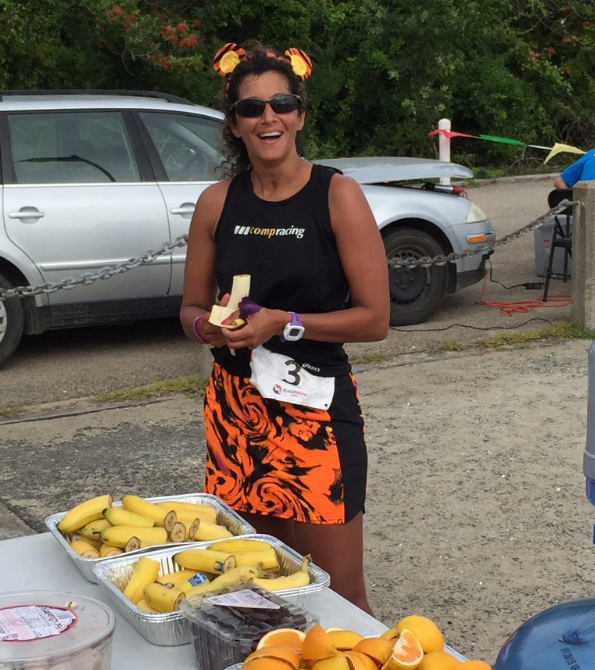 The 4th leg of Race the State was a 5.6 mile kayak across Narragansett Bay with a portage in Jamestown through Mackerel Cove. 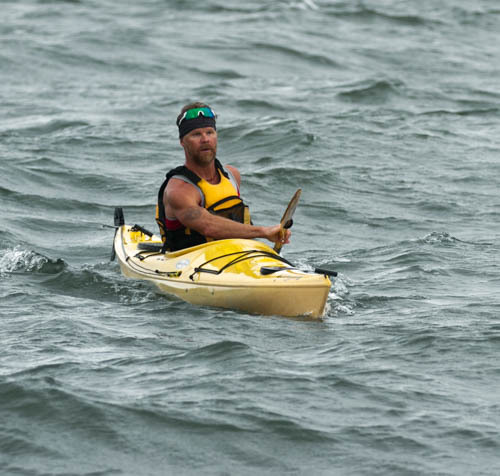 The wind conditions were in the teens from the north which would make the kayak also extremely challenging for the competitors. 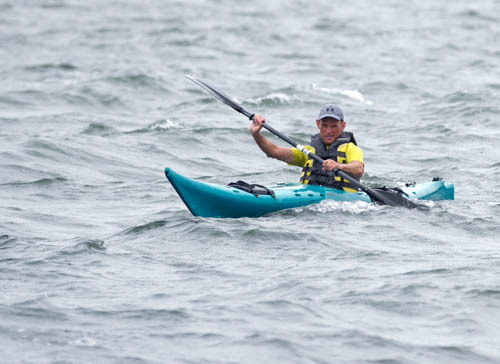 However, Timothy Dwyer of Team Kettlebottom would make extremely quick work of the kayak course completing it in 1 hour 1 minute and 25 seconds! The next closest competitor was 19 minutes and 32 seconds behind and that was Adam Donahue of the 3-person Team, 33 Donahue. In the men’s division Dave FitzGerald had the fastest kayak time clocking in at 1:23:38, but Antoine Lavigueur was a close second with a time of 1:29:57. 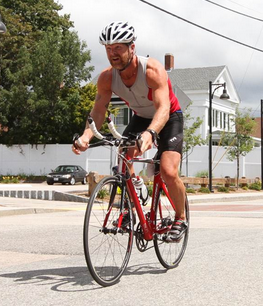 As competitors approached the kayak finish, they had to run uphill to the transition zone to hop on their bike to head out on the 28.5 mile course of which 27.3 miles were timed (two untimed areas existed to safely get competitors across Rt 1A and Rt 1). One of the first challenges on the bike course was a sneaky and sizable hill heading up Torrey Road. That hill would lead to a number of competitors pulling the plug on their race. 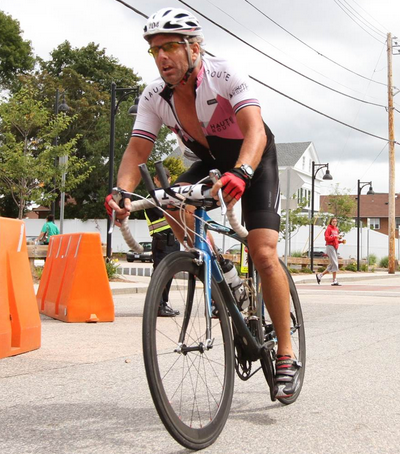 For those who conquered the hill, the race was on to the finish and the stand out in the mens division on the bike course was, Antoine Lavigueur, who after running, paddling, running and kayaking he managed to cover the 27.3 mile bike in 1:15:20 which is an average speed of 21.7mph! Unfortunately it wouldn’t be enough for him to take first as Dave FitzGerald had earned enough extra time in the prior legs to secure first place. 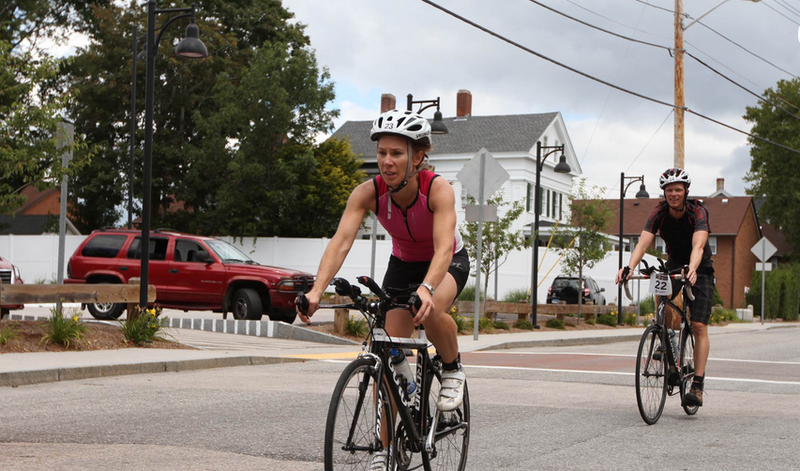 In the women’s division, Kristen Ralphs secured first on the bike with the fastest time for the women coming in at 1:37:03 at an average speed of 16.9mph. With that speed she secured first place overall! 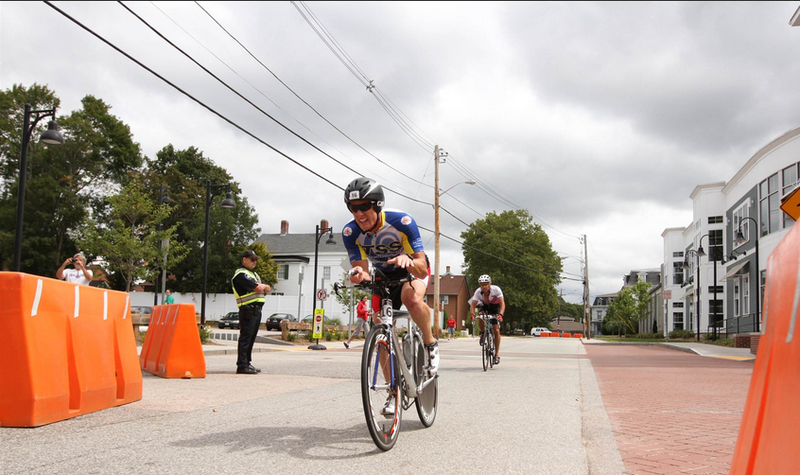 In the 4-person team division, it was Terry Halpin of Team Kettlebottom though who owned the bike course, he completed the course in 1:10:33, at an average speed of 23.2mph! NWC Warriors would go on to win first in the 2-person team as would 33 Donahue in the 3-person team division. The inaugural Race the State was one to remember and the course challenged the teams and competitors straight through the entire day. Congratulations again to everyone who came out and we look forward to seeing you next year!